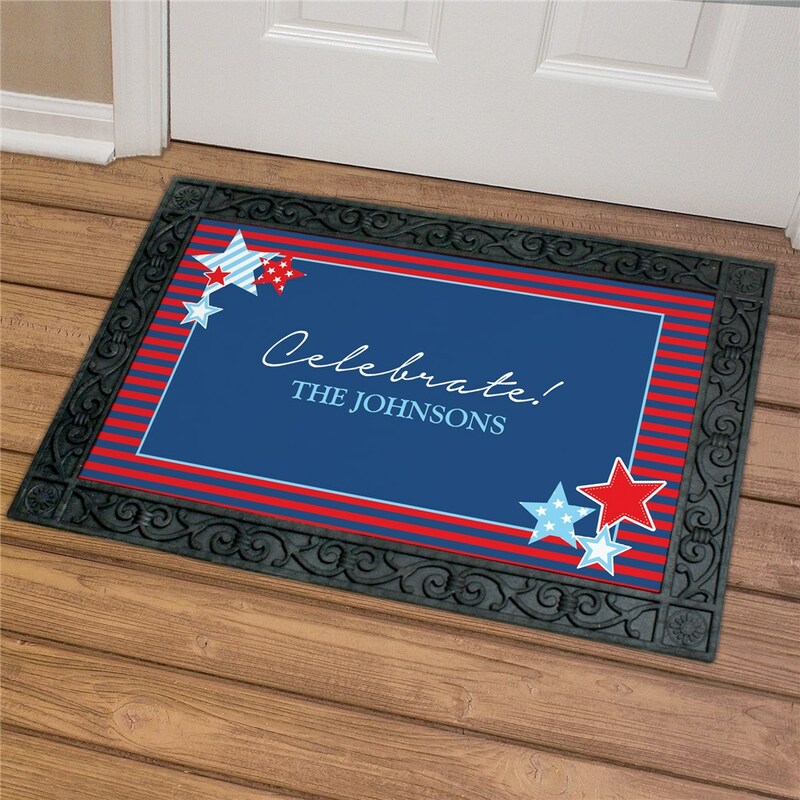 Cheer for old glory with your family's very own AmericanPride Personalized Doormats. A fun and patriotic way to decorate your beautiful home in Red, White and Blue. These patriotic Custom Doormats may be personalized with any one line message (up to 18 letters).